Really? I can't be the only one that this bothers! Does this not bother anyone else that "Audio Software" shows up? This isn't necessary at all and just seems to be a huge eyesore when loading plugins. 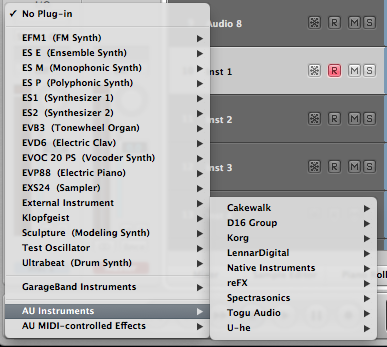 Yes, it is obviously "Audio Software", I don't need to be reminded every time I got to my plugin menu. This could be updated to only show "D16 Group" by taking out "Audio Software" and plugins will still load fine from older projects since the host loads based on the plugin name and not the company name. I love your plugins, but this just bugs the hell out of me, and I'm wondering if it bothers anyone else? Someone from D16 Group, could you please let me know if this is something you will consider updating? Re: Really? I can't be the only one that this bothers! Never mind, I figured it out myself! Last edited by ineedlush101 on Tue Jan 22, 2013 10:55 pm, edited 1 time in total. I guess it has never bothered me. Functionality over esthetics I say, but I am an analog minded producer.